In 1968, Polish inventor Antoni Dębski and his colleagues built an underwater habitat and sunk it to 26 meters (85 feet) deep in the Baltic Sea, where they then spent 7 days testing the habitat. 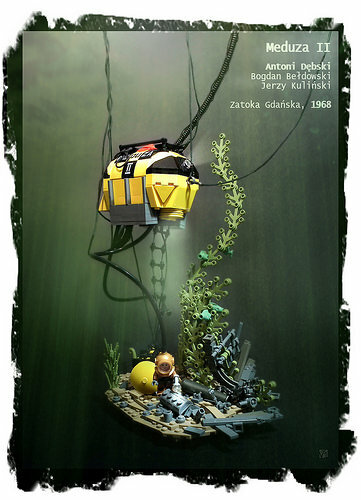 Polish builder Karwik has recreated the historic Meduza II from LEGO and presented it in this evocative scene, complete with atmospheric lighting and a shipwreck to explore. If you’re in Warsaw, you can now see the restored habitat at the Polish Army Museum.